DAN ZINSKI wrote: Star Wars 9 doesn’t come out for ten more months, but commenters are already review bombing the movie on Rotten Tomatoes. Planned as the final chapter of the current Star Wars trilogy, Episode IX is expected to wrap up the long-running Skywalker saga. How exactly that wrap-up will play out with Luke having died in The Last Jedi, and Carrie Fisher having passed way in real life, is anybody’s guess right now. 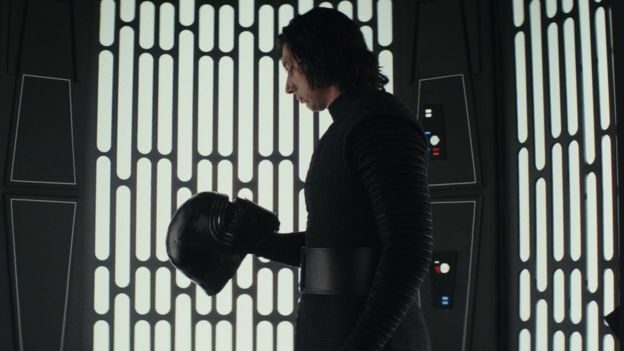 With Star Wars 9 still months away from hitting theaters, toxic fans are already at it again on the movie’s Rotten Tomatoes page, attempting to torpedo the film’s audience rating by posting negative comments. Of course, none of the commenters in question have seen the movie, and Rotten Tomatoes has not as yet calculated an actual audience score. Many of the comments actually focus on lingering negativity over The Last Jedi, which was itself subjected to an organized campaign of Rotten Tomatoes trolling in an effort to hurt its score. Despite the campaign, The Last Jedi still went on to gross $1.3 billion at the global box office. Such score-manipulating campaigns, often launched via forums like 4chan or through Facebook pages, have become an unfortunate part of the movie going culture in recent years. Already in 2019, trolls have launched an attack on Captain Marvel, which is a natural target for some thanks to its female lead and obvious empowerment themes. Last year, Black Panther was subjected to a similar effort to torpedo its Rotten Tomatoes score, but trolls failed to put a dent in enthusiasm for the movie which went on to gross $1.3 billion at the box office while scoring six Oscar nominations including one for Best Picture. Fine, let’s wrap this up. Since this is the end of the third Star Wars trilogy. How does this compare to the other trilogy-closing chapters? Is there one word he can use to describe how he wants us to feel after we walk out of theaters this December? ADAM CHITWOOD wrote: Rotten Tomatoes is rolling out a series of new initiatives aimed at “elevating the voice of fans” and “increasing data relevance,” but one of these changes is very clearly a movement against trolls trying to take advantage of the system. Over the last couple of years, it’s become commonplace for “fans” who have yet to see a movie to enact a negging campaign designed to bring down the film’s audience scores prior to release. The Ghostbusters “fans” did this by downvoting the trailer for Paul Feige’s female-led reboot, Marvel Studios “fans” intentionally tried to tank the Rotten Tomatoes score of Black Panther, and just recently a small group of devoted misogynists targeted Captain Marvel’s Rotten Tomatoes Audience Score, bringing it down to 40% despite the fact that—aside from critics—no one has seen the movie yet. I wOnDer WhAt ThE cOmMoN dEnoMiNaToR bEtWeEn ThEsE mOvIeS cOuLd Be. * Streamlined user interface that positions the Audience Score adjacent to the Tomatometer Score, which represents the collective opinions of thousands of professional critics, giving fans easy access to compare and contrast critic’s and fan’s view of movies and TV shows. * Prior to a movie’s release, fans will no longer be able to leave written comments or reviews. That functionality will be available once the movie releases into theaters. * The fan “want to see” score, which was previously represented as a percentage, will now be presented as a raw number that will be tallied in real time. This change seeks to eliminate the confusion that sometimes occurred between the “want to see” score and the “audience score” which is also represented as a percentage. * Throughout the roll out of new audience rating features, Rotten Tomatoes will call out enhancements on the site and link to a product update blog, where users can find explanations. These are positive steps, and I honestly don’t know why “fans” were able to leave reviews on a movie’s page before its release in the first place. Toxicity has become a serious problem in fandom over the last few years, and while it’s fine for folks to disagree, these targeted negative attacks that take advantage of systems that are meant to foster good-faith discussion amongst fans are insane and entirely unfair. so neither the first Death Star, nor the 2nd blew up near any planet with a large body of water...How do we get that last scene...?? ...there were a few things in it I REALLY liked, and those seemed to be the few ACTUAL IDEAS Rian Johnson brought to the table. Chief among them being the general theme that Star Wars isn't just for the destined or about the Skywalkers. 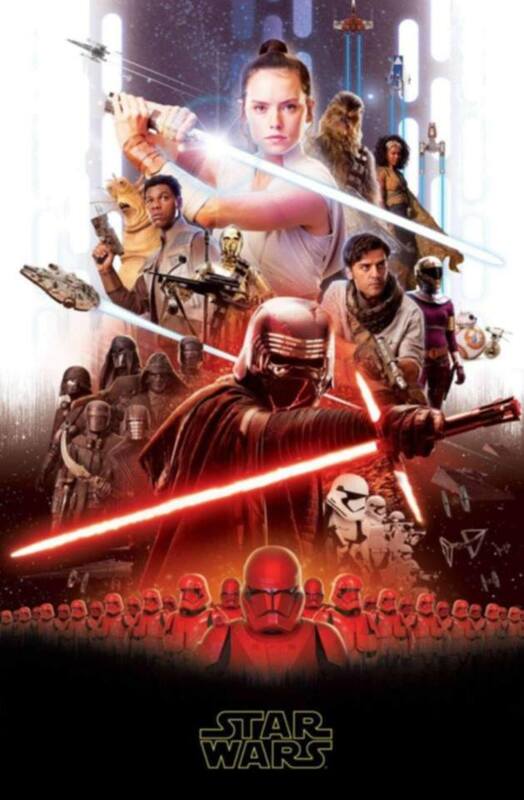 Rey is a nobody and the kid at the end holding the broom could be the next great Jedi if he's willing to unlock his potential and believe in The Force. I really love that idea. Even though Luke is Vader's son, I always felt while watching the original trilogy that anyone who's open to it could become a Jedi, and that's a huge part of the charm. You could be Luke. I could be. The guy next to us. Whatever. Then the prequels came along and felt like they plowed that under and even The Force Awakens, which I liked and felt like it was kind of hitting the reset button and getting us away from the prequel storytelling, still was pretty Skywalker obsessed. TLJ casts that aside and brings it all back to everyone. The title of this movie itself seems to crap all over that notion. I thought it was a joke. Seriously. I went onto my phone on Saturday and saw, "Star Wars: Rise of Skywalker trailer here!" and thought "ha! someone did a fan trailer based off how everyone hated what the previous movie did to Luke? This will either be a funny satire or a desperate attempt to 'fix' Star Wars by some dumb fans. Let's check it out." And then I watched the trailer itself and I swear, I thought the whole thing was a MASSIVE gag of some kind. Kylo Ren repairing his helmet? The Death Star? The Emperor? I laughed. I told a buddy, "Dude...this is pathetic fan wankery." And then I realized it was LEGIT. This entire sequel trilogy has been entirely reactionary. The Force Awakens was a reaction to the prequels, which I understood and I think we all kinda did. Then TLJ was a reaction to everyone saying that TFA was too safe. This is now a reaction to everyone saying TLJ ruined Star Wars. Each movie is defined not by itself, but by the way it undoes what immediately preceded it. What a complete waste of time. I wasn't a fan of The Last Jedi. The only thing I think I could like WORSE (aside from like, another Attack of the Clones) is two plus hours dedicated to apologizing for it and undoing everything it did. 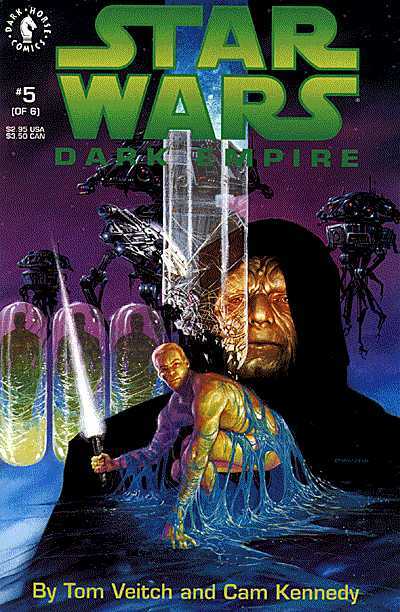 This franchise has been a trash heap since 1997.
jellydonut25 wrote: ...there were a few things in it I REALLY liked, and those seemed to be the few ACTUAL IDEAS Rian Johnson brought to the table. Chief among them being the general theme that Star Wars isn't just for the destined or about the Skywalkers. Rey is a nobody and the kid at the end holding the broom could be the next great Jedi if he's willing to unlock his potential and believe in The Force. I really love that idea. Even though Luke is Vader's son, I always felt while watching the original trilogy that anyone who's open to it could become a Jedi, and that's a huge part of the charm. You could be Luke. I could be. The guy next to us. Whatever. Then the prequels came along and felt like they plowed that under and even The Force Awakens, which I liked and felt like it was kind of hitting the reset button and getting us away from the prequel storytelling, still was pretty Skywalker obsessed. TLJ casts that aside and brings it all back to everyone. I think this echoes my thoughts. Basically this looks like it tosses everything good about TLJ and doubles down on the TFA approach to almost a level of parody. I also thought the title was a fan joke when I first saw it.